Teachers' Unions yesterday announced that they have suspended the nationwide industrial action that commenced on the 5th of February with immediate effect. In a joint statement by Zimbabwe Teachers Association and Progressive Teachers Union they said, "Our members who were on industrial action (strike) must report for work commencing Monday the 11th February 2019 and wait for further commands and direction and fully operational by Tuesday the 12th of Feb 2019." The Unions said the action to cancel the industrial action has been necessitated by their desire to engage parliament and the courts. "We are motivated by the need to engage other arms of the State inter alia the Legislature and the Judiciary after realizing that the Executive has failed to address our members' needs," They said. The Unions however said they reserve the right to regroup, re-strategise, engage and prepare for other disabling and extensive forms of industrial action should their members' needs remain unattended. The teachers have been engaged in an industrial action seeking to be paid in United states Dollars or $ 1 800 Bond dollars. The government has insisted that it does not have the kind of money yet to pay teachers. 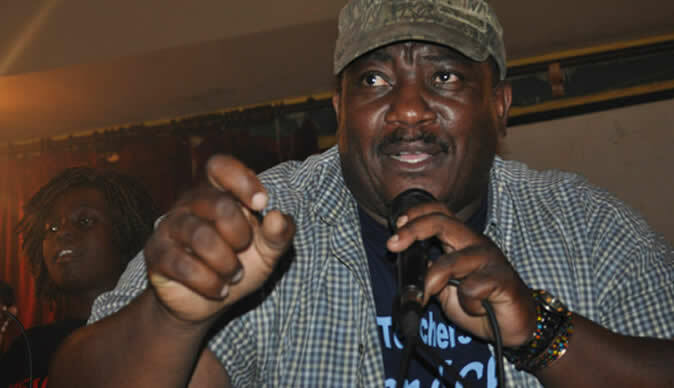 Another teachers' union the Amalgamated Rural Teachers Union of Zimbabwe (ARTUZ) on Friday warned other Unions not to abandon the industrial action and sell out the teachers because history will judge them harshly. Government has branded as a regime change outfit that is not committed to the plight of the teachers.